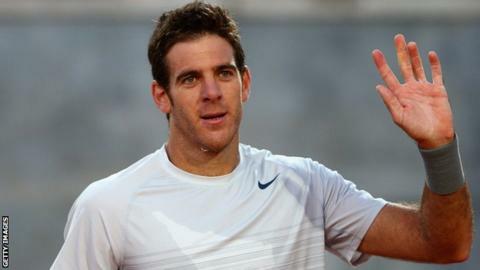 Juan Martin del Potro has followed Britain's Andy Murray in withdrawing from the French Open. The Argentine former US Open champion revealed he was suffering from a virus after losing to Frenchman Benoit Paire in the Rome Masters last week. World number two Murray withdrew from Roland Garros with a back injury. Former world number seven Mardy Fish, 41st in the rankings, and his fellow American Brian Baker, 71st, have also pulled out. Del Potro, the world number seven, made the quarter-finals of the French Open last year, losing to Roger Federer.